A wood countertop in your kitchen can be a valuable focal point that you never get tired of looking at. 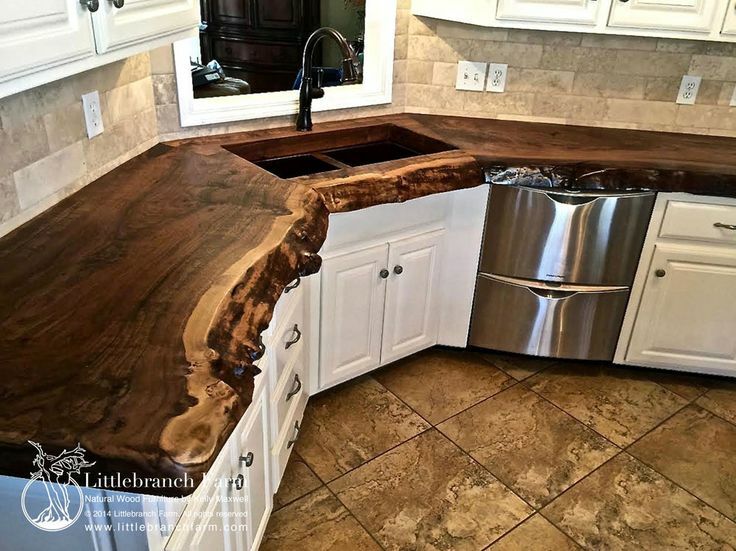 This is an investment in a product that you'll have for years and perhaps even decades, so you want to be sure that you order the right wood countertop. It's a good idea to browse samples in person and even take home different pieces of wood to assess how they look in your kitchen. Once you've chosen a product that you feel will best suit the space, you can speak with the retailer and installer to ensure that it's suitable for your kitchen. Here are some errors that some people make that you should seek to avoid. Although there's certainly nothing that is fundamentally wrong with choosing a light countertop, there are a few things to evaluate before you select a lighter shade of wood. It's important for you to know that lighter wood countertops can get dark over time, and this is especially true if you aren't extremely vigilant about house cleaning. For example, dirty hands that are constantly in contact with the front edge of the wood countertop can leave it a little grimy looking. If you favor a light color of wood for your countertop, you should pledge to be more vigilant about cleaning. You'll often be able to find wood countertops in different thicknesses. Those that are thinner are a little more friendly for your budget, but they may not give you the end result that you're happy with. In many cases, a thicker wood countertop will appear more solid and substantial, which can provide a pleasant visual effect. Be wary about trying to save money by opting for a thinner countertop. Even if you need to delay the project to save a little more money, going for a thicker product can be better in the long run. The front edge of the countertop is available in several styles, from those that are flat to those that have ridges. Sometimes, you can even find wood countertops with natural edges, meaning that this part of the countertop has a jagged edge — perfect for rugged design styles. You should give careful thought to the edge style that you're choosing. Again, think about your approach to cleaning. If you choose an edge style that has plenty of ridges and grooves or is natural, dirt and food can get caked into the ridges and reduce the visual impact of the wood. A square edge is easier to keep clean, which makes it preferable for some people. For more information and options for your kitchen countertops, contact a professional remodeling service, such as Countertop Place The.